Venules in the stomach may have intrinsic properties for maintaining active microcirculation drainage even during gastric filling. Properties of spontaneous and nerve-mediated activity of submucosal venules in the rat stomach were investigated. Changes in vasodiameter and intracellular Ca2+ in venular smooth muscle cells (SMCs) were monitored by video tracking and Fluo-8 Ca2+ imaging, respectively. Venular SMCs developed synchronous spontaneous Ca2+ transients and corresponding rhythmic constrictions of the venules. Nominally Ca2+-free solution or an L-type Ca2+ channel blocker (1 μM nifedipine) disrupted the Ca2+ transient synchrony and abolished spontaneous constrictions. Spontaneous constrictions were also prevented by inhibitors of sarcoplasmic reticulum Ca2+-ATPase (10 μM cyclopiazonic acid (CPA)), IP3 receptors (100 μM 2-APB) or Ca2+-activated Cl− channels (100 μM niflumic acid). Transmural nerve stimulation (TNS) induced a long-lasting venular constriction that was abolished by α-adrenoceptor antagonist (1 μM phentolamine), while TNS evoked a sympathetic transient constriction of arterioles that was abolished by a combination of phentolamine and a P2 purinoceptor antagonist (10 μM pyridoxal-phosphate-6-azophenyl-2′,4′-disulfonic acid (PPADS)). Consistently, P2X1 purinoceptor immunoreactivity was detected in arteriolar but not venular SMCs. Primary afferent nerve stimulation (300 nM capsaicin) caused a venular dilatation by releasing calcitonin gene-related peptide. 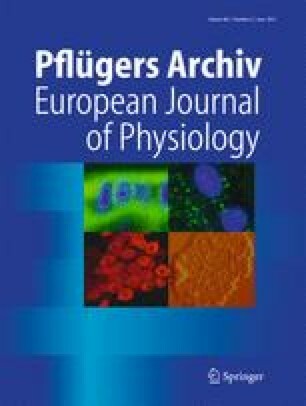 Thus, Ca2+ release from the sarcoplasmic reticulum may play a fundamental role in the generation of spontaneous Ca2+ transients, while electrical coupling amongst venular SMCs via L-type Ca2+ channel activation appears to be critical for Ca2+ transient synchrony as well as spontaneous contractions. Sympathetic venular constrictions appear to be exclusively mediated by noradrenaline due to the lack of P2X1 receptor in venular SMCs. The authors wish to thank Dr. Richard Lang (Monash University) for critical reading of the manuscript. This study was supported by Grant-in-Aid for Research in Nagoya City University to R.M., a research grant from Ichihara International Scholarship Foundation to R.M., Grant-in-Aid for Scientific Research (B) (No. 22390304) from Japan Society for Promotion of the Science (JSPS) to H.H., Grant-in-Aid for Challenging Exploratory Research (No. 21659377) from JSPS to H.H. and Grant-in-Aid for Young Scientists (B) (No. 26860521) from JSPS to R.M.. The experimental protocols in the present study were approved by the Nagoya City University Medical School experimental animal committee.